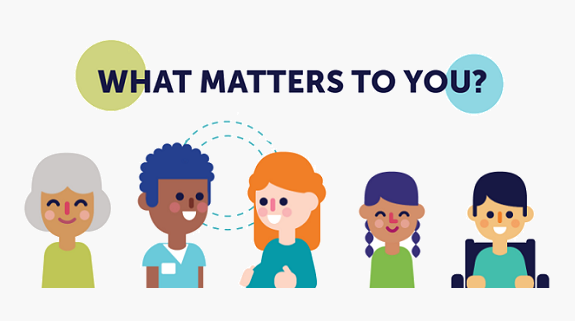 Join us for a “What Matters to You?” webinar focused on sharing our new “Conversations That Matter” resource! As a bonus, we will randomly give away 10 free #WhatMattersToYou t-shirts to attendees! You don’t want to miss out on your chance to win. Learn about what makes collaboration last, what happens when it does, and how to measure its impact on service delivery. Discover this evidence-informed resource that’s chock-full of tools for providers, patients, families and caregivers to support having meaningful conversations about care. Explore what happened when Edwina became a “What Matters to You?” patient ambassador last year and how patient ambassadors are planning to take action year-round.